The gold price has attracted plenty of media attention over the last few years, despite prices remaining steadily around the US$1250 per ounce mark. With prices now starting to creep higher, the case for investing in gold miners seems to make increasingly more sense. Seen as a safe haven from inflation-conjuring central bank policies, the yellow metal has absorbed the brunt of investor fears and panic in recent years, with Bitcoin being the latest vehicle to tempt further safe haven gold buying. See the below comparison of gold as priced in Australian and US dollars. What’s clear is that the metal is still keeping hold of its allure despite a much stronger US dollar and very frothy equities across the G20. It does remain a speculative investment, however, and investors should seek professional financial advice if considering this stock for their portfolio. However, some analysts are questioning the current market strength. As the benchmark ASX 200 consolidates above 6000 points, more and more investors will start to consider exposure to gold in preparing for the event of a market crash. Investor attention may have been focused on US equity markets, technology stocks and cryptocurrencies this year, but gold has still had a decent 2017 — delivering double-digit growth during the year. Such a performance is noteworthy in a year when the US has been actively raising interest rates and equities have remained at the top of their respective indices across the developed world. Gold’s range has been relatively narrow and, apart from the geopolitically-inspired move above US$1350 per ounce in September, the moves have been orderly. Given the renewed interest in gold mining, there are now limited development opportunities for mid-cap and mature miners in Australia, due to the dwindling number of available gold projects. 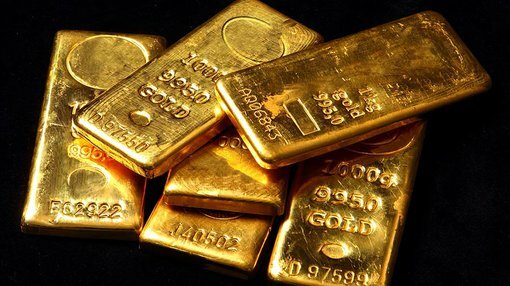 Waning global gold output is spurring more deals and industry consolidation, as mine supply is expected to fall around 30 per cent in the coming 10 years, according to data obtained from BMO Capital Markets and Randgold Resources Ltd.
Gold companies based in Australia have proposed or completed acquisitions worth about A$4.5 billion since a rebound in deal-making in 2015. In fact, Australia’s top producers tripled their total cash reserves in two years since 2015 — seeing their aggregated holdings expand from A$406 million in 2015 to about A$1.4 billion today, according to data obtained by Bloomberg. However, in 2017 the larger-sized miners including Evolution Mining Ltd and Northern Star Resources Ltd, Australia’s number 2 and number 3 top producers, have looked to the US and Canada for acquisitions to add operations of sufficient scale and quality. The huge cash reserves now being held by these Aussie miners could well be deployed in earnest in 2018. If large-cap miners are not your cup of tea, there are always the juniors that can potentially deliver even higher returns for investors — although small-cap stocks do carry significantly more risk than their larger cousins. From the troop of gold juniors, one in particular is gearing up to join the Australian gold market resurgence: Kingston Resources (ASX:KSN). 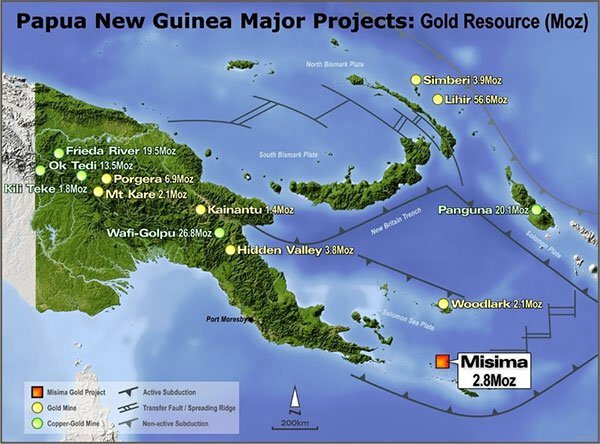 KSN has access to 2.8 million ounces of gold at its Misima Gold Project in Papua New Guinea (PNG). Having recently announced its new resource total of 82.3 million tonnes at 1.1g/t gold, KSN is en route to entering production in the near- to mid-term. KSN’s JORC-compliant Mineral Resource Estimate for Misima contains a total 82.3 million tonnes at 1.1 grams per tonne of gold and 5.3 grams per tonne silver for a total of 2.8 million ounces of gold and 13.9 million ounces of silver. In the 1990s, the previous owner of KSN’s tenure (Placer Pacific) produced 3.7 million ounces gold from KSN’s local area before mining ceased in 2001. Since then, several gold processing plants have been constructed in the vicinity, while gold processing methods have improved markedly. From an economic-viability perspective, both factors should bode well for KSN’s current work in PNG. 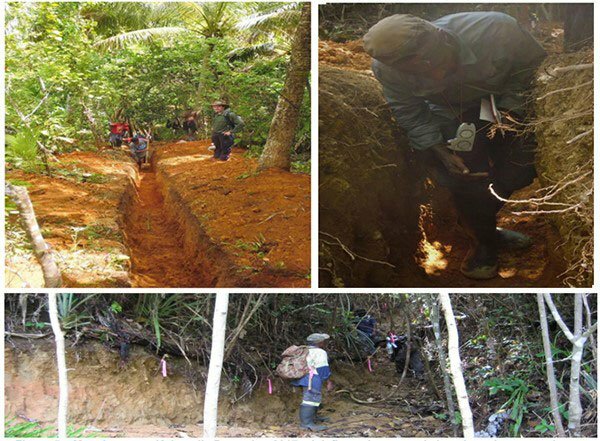 With a production history of approximately 4 million ounces and a current Resource of 2.8 million ounces, Misima now has a total known gold endowment in excess of 6 million ounces — thereby positioning the project as a world-class gold deposit in a region with confirmed precious metals mineralisation. Given it has a JORC Resource already formalised, KSN is therefore ideally established for further exploration progress in 2018. From the geological results seen so far, management believe there could be an additional 300-800koz gold (10-20 million tonnes at 0.8-1.2g/t gold) of mineralisation within the block model which falls outside its current Resource, but which is inside the interpreted zones of mineralisation. In addition to its precious metals assets, KSN also holds a portfolio of lithium exploration tenements covering four key project areas in the Northern Territory, as well as its Livingstone Gold Project holding a 50,000-ounce gold resource. In summation, as the gold market gains more strength on the back of rising prices and better project development certainty, companies like KSN are on the doorstep of transforming from aspirational explorer to productive miner. As an investment commodity, who are the contenders? From the crop of mature miners, St Barbara Ltd (ASX:SBM) and Resolute Mining Limited (ASX:RSG) lead the charge with hefty margins of 89 per cent and 68 per cent respectively in 2017, closely followed by Newcrest Mining Limited (ASX:NCM) and Evolution FPO (ASX:EVN). These are all large miners with relatively large capital expenditures. But what about junior explorers that have yet to be picked up by the market? Several juniors have come to the fore over the past two years and claimed gold projects in Australia and beyond, in search of high margins and yield just like their larger cousins. Three standout gold juniors to emerge in the last year have been Kingston Resources (ASX:KSN), Mantle Corp (ASX:MNM) and Classic Minerals (ASX:CLZ) — who have each claimed highly-valued gold tenure and have made rapid steps to develop their respective assets. These are speculative stocks and investors should take a cautious approach to any investment decision with regards to them. Mining and resource exploration are cyclical industries that go through peaks and troughs just like any other market. But there are a few noteworthy trends currently taking effect which could provide explorers, miners, investors and customers with good opportunities — both in the near-term, despite weaker commodity prices, and the long-term on the back of technology, innovation and cyclical growth. One of the most influential market themes of 2017 has been the transformation of a preceding relative lack of activity (specifically from 2014-2016). This may be what has led to relative shortages and rising prices today, and has created an incentive for new exploration. 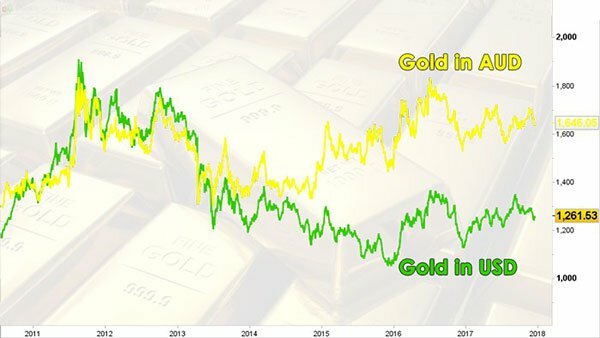 The elephant in the room for gold has been the US Federal Reserve — a factor which could potentially fade next year, as waning US dollar strength provides more leeway for gold to make further gains. Monetary policy (and macro policymakers) will continue to be significant drivers of gold prices, given that the Fed is widely anticipated to initiate several rate hikes next year. It is also expected to only commence its balance sheet contraction, from its current US$4 trillion level. 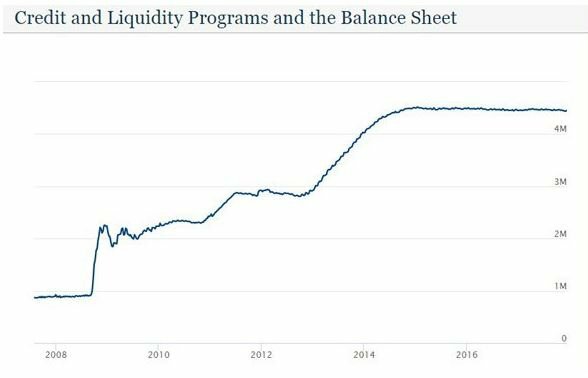 The Fed Reserve has not put a dent in its runaway-train balance sheet since the Global Financial Crisis. In fact it has only grown, albeit at a slower pace. With a lot of balance-sheet deflation to come, this could spell a weaker US dollar by default, with the potential for a further lift in gold prices. The new staff roster at the Fed may also change the way the central bank acts and communicates, thereby inducing further price volatility in precious metals markets given their sensitivity to central bank commentary. As usual, the US dollar maintains a strong correlation with gold prices. The direction of the US dollar is likely to be just as important moving forward. Historically, a higher US dollar has weighed on gold prices and prevented strong sustained appreciation in spot gold. If the US dollar gets into a trend of unwinding its gains made against all other currencies in 2017, it would signal the end of a multi-year period of US dollar strength and therefore, could provide a positive headwind for gold prices next year. Another factor set to impact global gold prices is the expensive equity markets we are seeing in the US, Europe, Australia and Japan. The current equities bull market has arguably reduced gold’s appeal in 2017, which means an end to that trend could reignite demand for gold in 2018.